Graphene oxide (GO), a chemical derivative of graphene, has attracted much attention, since it can be prepared through a simple chemical process which is adaptable for massive production. In addition, GO can be dispersed in solvent, e.g. water, so that GO films are readily fabricated on a wide variety of substrates via spin-casting. However, GO’s properties are not equivalent to those of graphene. In particular, electrical properties of GO are frequently unsatisfactory for electronic device applications. We have been studied on photochemical reduction of GO in order to obtained reduced GO (rGO) with an improved conductivity and its structural analysis [1-4]. In this lecture, our results on UV reduction of GO and microstructural analyses of GO/rGO. Since “graphene” means the single-layer sp2 carbon-network, multilayered and aggregated carbon-sheets with an uncontrolled manner cannot be called as GO. Those are nothing more than oxidized graphite. Thus, we evaluated our GO/rGO samples with single-layer-base analyses. Furthermore, our recent advances in this field, e.g. fabrication of GO micro-ribbons via photochemical etching, electrohcemical GO preparation, and so forth will be presented. Y. Tu, T. Ichii, O. P. Khatri, H. Sugimura, Appl. Phys. Exp., 7 (2014) 075101. Y. Tu, T. Ichii, T. Utsunomiya, H. Sugimura, Applied Physics Letters, 106 (2015) 133105. Y. Tu, T. Utsunomiya, T. Ichii, H. Sugimura, ACS Appl. Mater. Interfaces, 8 (2016) 10627. Y. Tu, H. Nakamoto, T. Ichii, T. Utsunomiya, O. P. Khatri, H. Sugimura, Carbon, 119 (2017) 82. Hiroyuki Sugimura received the B.S. and M.S. degrees in chemical engineering from Tokyo Institute of Technology in 1981 and 1983, respectively. He received Ph. D degree from Osaka University in 1994. He was work at Nikon Co. from 1983 to 1997. From 1990 to 1993, he was joined Mashara Photo Conversion project, ERATO, JST, Japan. From 1997, he was an associate professor of Department of Materials Processing Engineering, Nagoya University. 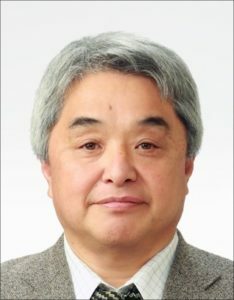 From 2003 to present, he is a professor of Nanoscopic Surface Architecture Laboratory, Department of Materials Science and Engineering, Kyoto University.